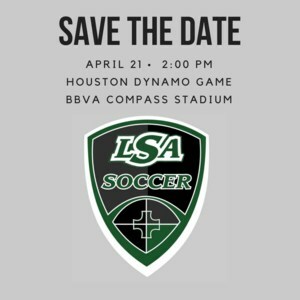 The LSA Soccer team will be recognized for winning state at the Houston Dynamo game April 21st. Join us! 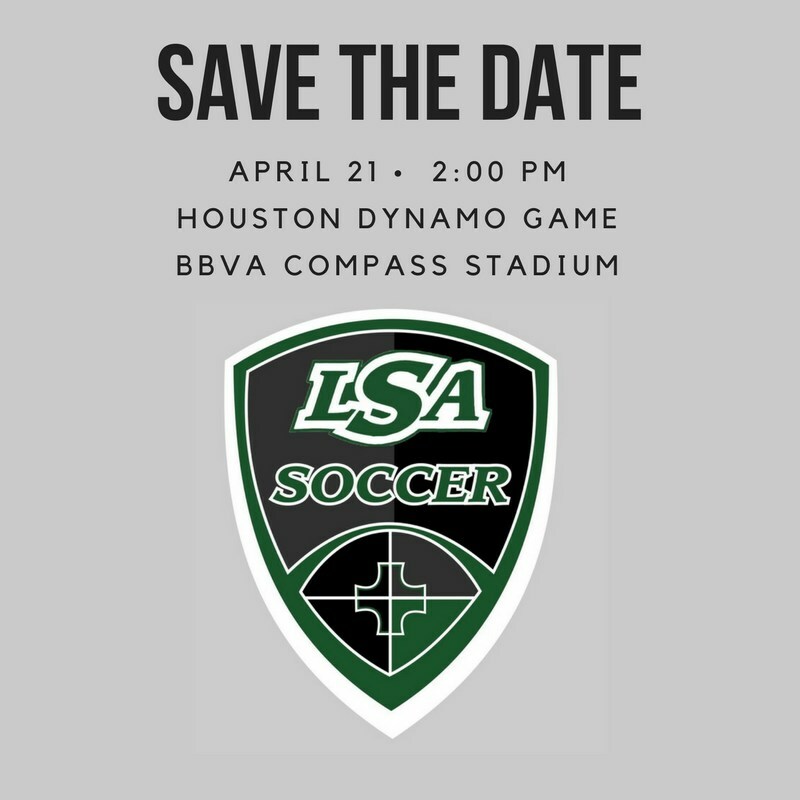 Join the #LSASOCCER team as they are recognized for winning the State Championship at the Dynamo game on Saturday, April 21st. The game is at 2:00 pm. Buy discounted tickets through the link below and come and cheer on your LSA Soccer team and the Houston-Dynamo! Deadline to buy tickets is Friday, April 13th.